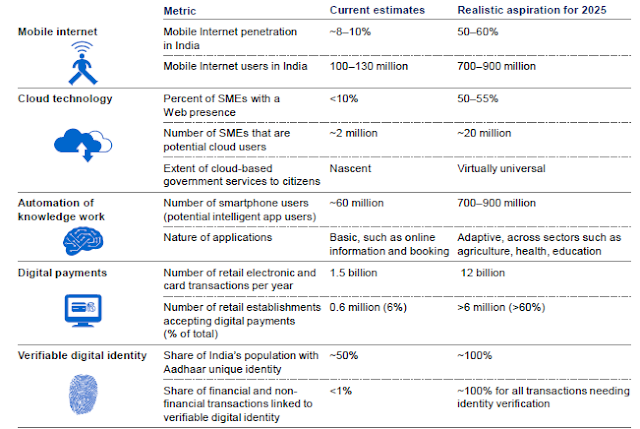 2015: The year of Digital and Financial Inclusion in India? 2015 is set to be a watershed year for the growth and deepening of banking and financial services in India. The Reserve Bank of India and the Union Government, have accorded policy priority to ‘Financial Inclusion’ through an array of regulatory and policy reforms starting with the Jan Dhan and Jan Suraksha Yojanas, the launch of refinance agency MUDRA, and the entry of differentiated banks into the financial ecosystem. These developments reflect a renewed commitment towards reaching India’s unbanked and unfunded sections of society and signal a paradigm shift towards a more innovative, technology-enabled approach in addressing last-mile delivery problems. Another noteworthy development this year has been the Union Government’s flagship ‘Digital India’ initiative , which seeks to transform India into a digitally empowered knowledge economy. 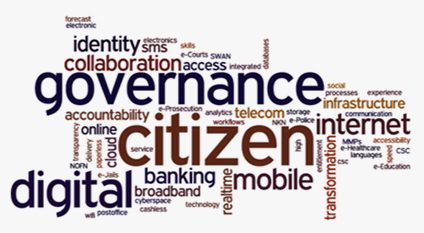 While Digital India’s (DI) launch has created quite a buzz in India and abroad, digitization in its broadest sense is a relatively unexplored area for both policymakers and practitioners in the country. The success of DI rests on the shoulders of two key ingredients: universal access to high-speed mobile and broadband infrastructure. The emergence of ‘Digital Financial Services’ in India ties these developments in the digital and financial spaces together, and represents a dynamic period of disruption and innovation for the industry. Based on this matrix, India falls in the category of ‘constrained economies’ (with a score of 25). All three sets of data indicate that India is still a long way from bridging the so-called ‘digital divide’; the gap between demographics and regions that have access to information and communications technology, and those that have limited or no access. This challenge, however, represents an enormous investment opportunity to service providers and government institutions such as India Post. With mobile network operators and Technology facilitators having received licenses from the Reserve Bank of India to operate as ‘Payments Banks’, and the strengthening of strategic partnerships between the Government of India and global technology giants such as Google and Microsoft, investments in expanding last-mile Information & Communication Technology and Telecom are likely to follow suite. In addition to financial institutions and mobile network operators, the Financial Technology space is thriving with companies such as PayTm, Oxigen, Itzcash, Fino PayTech that offer prepaid payment solutions. With the facilitation of such an enabling business and regulatory environment in India, one can hope that supply-side constraints will not be a major concern in the near future. There is little doubt that low-income consumers, especially in areas with limited access are likely to benefit from more accessible and affordable financial services. Given that 85% of India’s population has access to a mobile phone (their own or someone else’s) and only 0.3% have used mobile money services , there is tremendous scope for expansion in this segment. However, how easy is the transition from cash to mobile money and what factors will enable customers from low-income backgrounds to make this transition smoothly? Will the increasing competition in the sector ultimately benefit the consumers at the grassroots without compromising on their interests and protection? While it is too early to comment on these developments at this point, it is important to observe and track their progress closely. According to a recent CGAP study, complex user interfaces, consumer fraud, lack of recourse for fraud victims and lack of transparency in fees and other terms of service, are key risk factors for consumers in adopting digital financial services. Thus, in this case, supply is unlikely to create its own demand. As highlighted by the Booz&Co. matrix in the previous section, the shift towards a less cash society will need a re-alignment of digital processes and operations with demand-side considerations such as usability, trust in service providers and consumer behaviour. 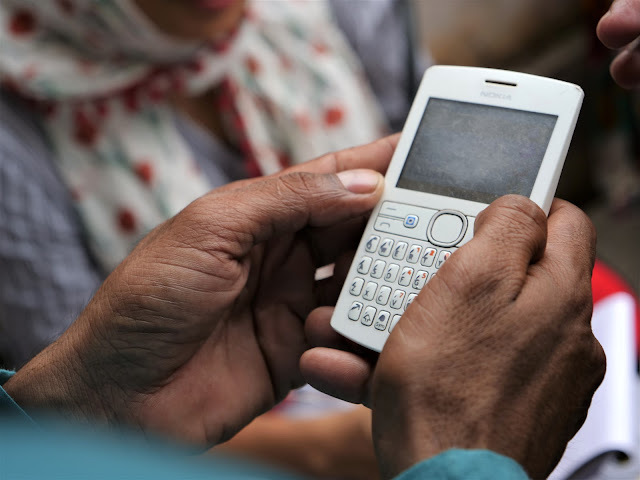 As India hops onto the Digital Finance bandwagon along with the rest of the developing world, it will be sobering to identify key drivers and barriers to the expansion of DFS, especially on the demand side. Yes I think so....The current year 2015 is landmark in Indian history as Prime minister Modi has tighten up bond with so many countries as he visited there with full of happiness. I think PM Modi is more focusing on maintaining cordial relationships between countries to make India more powerful in Asia region as well as in the world. PM Modi has launched so many schemes like Digital India, Make in India so that he shows world that Indian economy is growing. He not only made so many investments in India but also provide help to neighbours countries as well. So we can say that 2015 is a year of Digital and financial stability. Thanks !! !